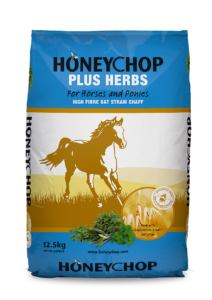 There’s something in our range for every horse, pony or donkey whatever their work load. 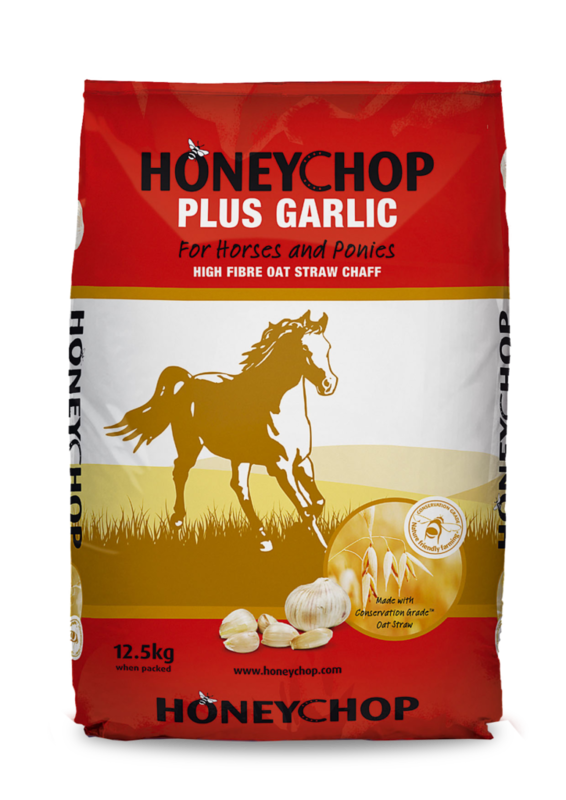 Find your nearest Honeychop Stockist, we recommend you call in advance to make sure your product is in stock. If you have any questions about us or our products please do not hesitate to contact us. To create our unique high fibre oat straw range we only use the best ingredients. 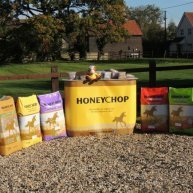 The Honeychop range is lovingly produced on the family farm in the heart of rural Suffolk. 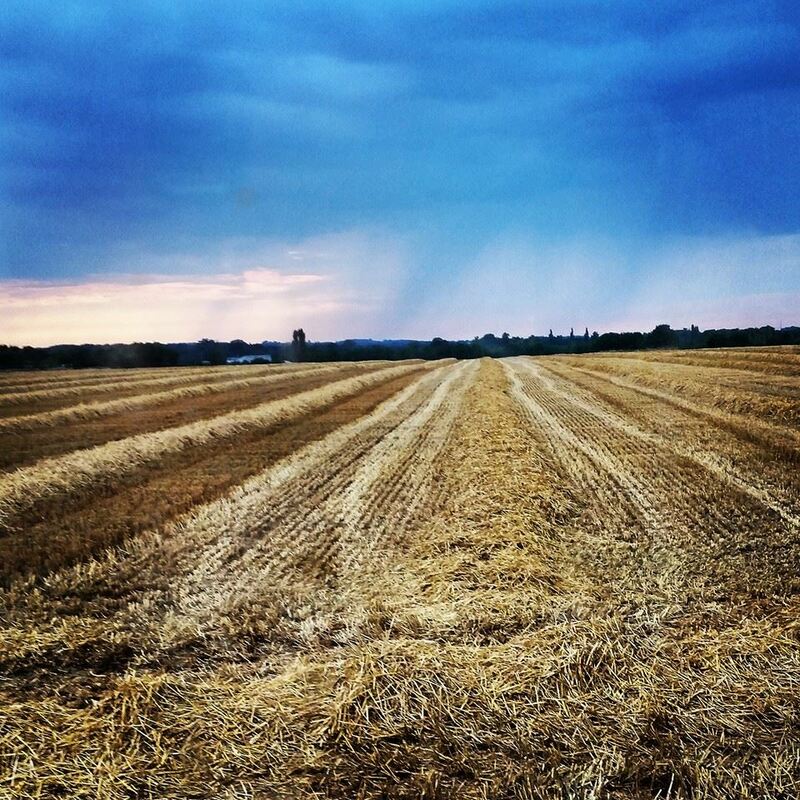 We use the highest quality Conservation Grade oat straw which is home grown, or locally sourced from our carefully selected British growers at ‘Fair to Nature’ standards. 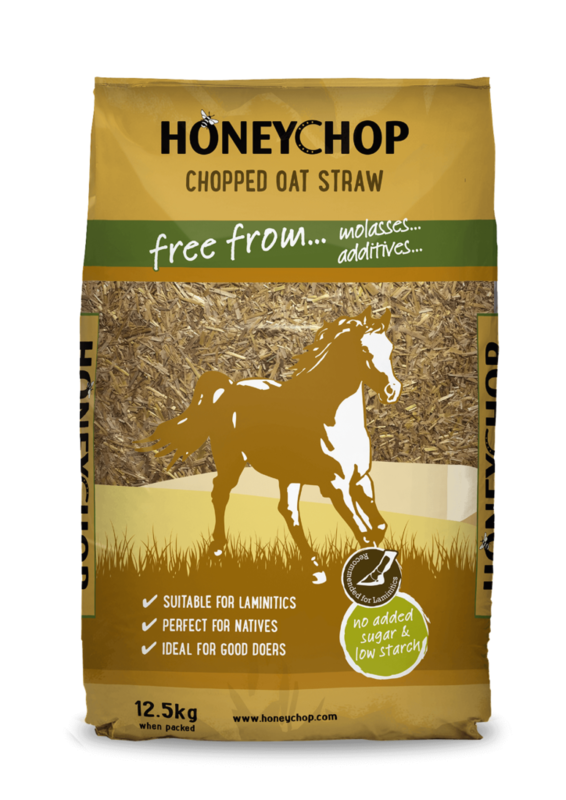 The straw we use is grown to the highest possible standards as the oats are used in breakfast cereal. 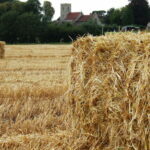 We allow all our straw to dry naturally in the sun and we never use desiccants to dry the crop. 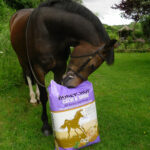 Not only can you be sure of our commitment to the British countryside, but you can also be assured that the oat straw in your horse or ponies breakfast is grown to the same leading and highest standards as the oats in your bowl of breakfast cereal. To find out more visit Down on the Farm. We know that using oat straw is important, which is why we use it as standard, rather than cheaper cereal straw such as wheat or barley. 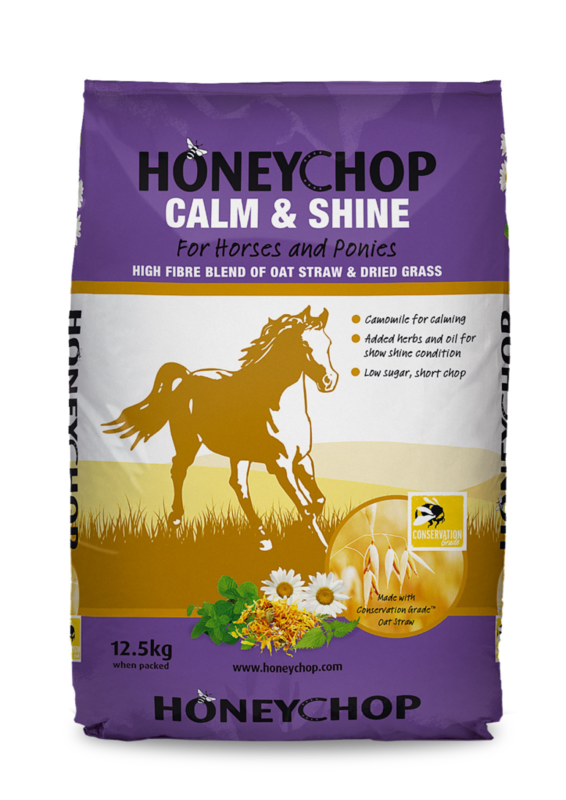 Oat straw is softer, more palatable and has a lower lignin content which makes it the easiest straw for a horse, or pony to digest. But don’t just take our word for it, see what Dr Teresa Hollands BSc(Hons),MSc(Animal Nutrition), PhD,(RNutr) has to say on the subject click here. We only use the highest quality ingredients which are carefully selected and prepared in a safe controlled environment. Each and every bag of Honeychop is put through a very strict testing process and if it does not meet our high standards it will not make it into your feed room. We are proud to have been awarded the “Conservation Grade” and “NOPS” stamps of approval. To read more about our ingredients and how they are produced, head over to our ingredients page. 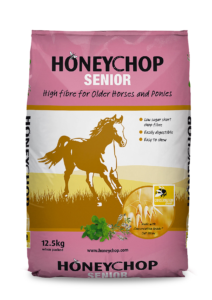 We currently have nine different products in the unique oat straw fibre range and feel we have something for every horse or pony to enjoy as part of a healthy balanced diet. 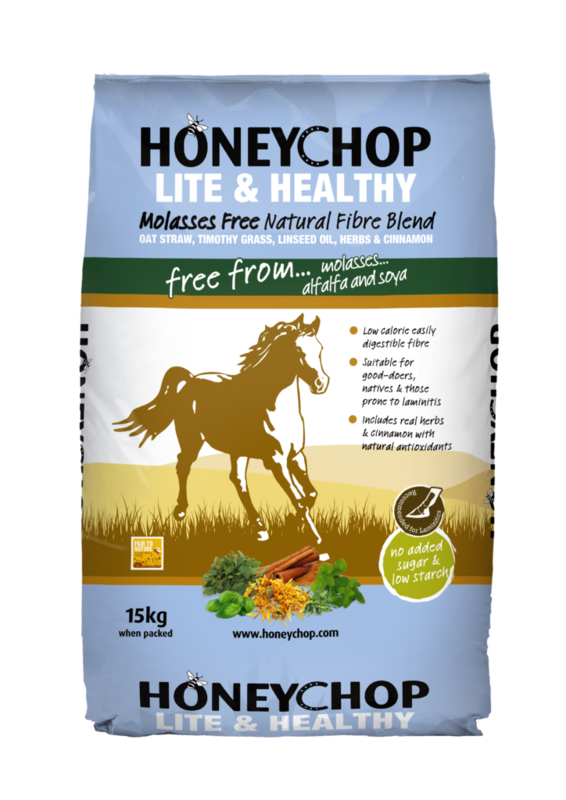 Whether you are looking for a traditional chaff, a specialised fibre feed or something from the free from molasses, soya etc, there’s a fibre feed to cater for all diets and requirements in the Honeychop range. take a look at our products page. With our Free From product range we are making sure every horse or pony, even ones with intolerances, can benefit from quality Honeychop products. 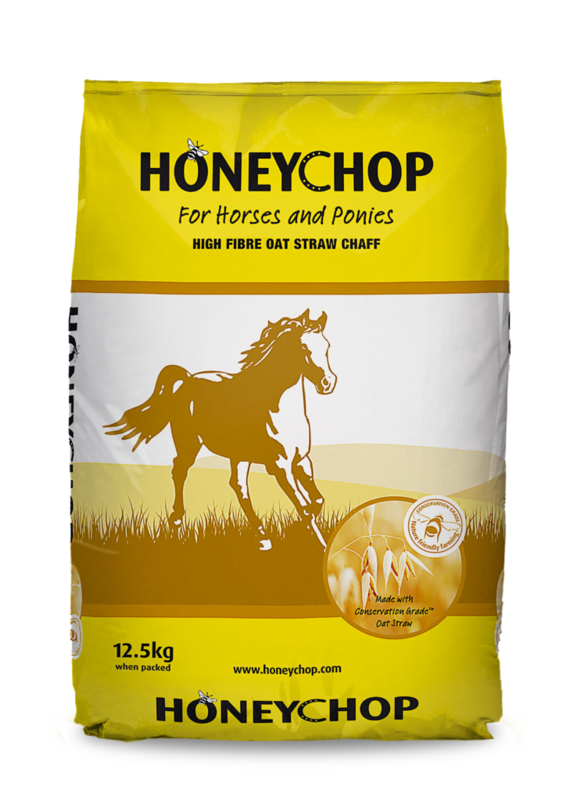 We promise to guarantee quality to you and your horse, or pony. 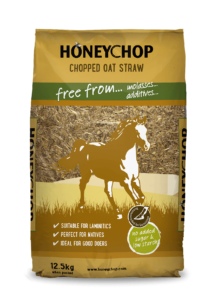 We are committed to making the unique oat straw fibre range and are proud of our Honeychop Brand. Consistent quality is important to us and we make sure that we take great care throughout the whole production process. 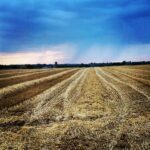 By manufacturing and packing our products on site, we know exactly what goes into each and every bag and we can trace every bag right back to the field in which it was grown. 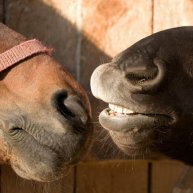 Not only do we care about your horse, or pony, but we also care about what you think, and we always look forward to receiving your comments. We are sure you will be delighted with your Honeychop and we love to hear that you love our products as much as we do. 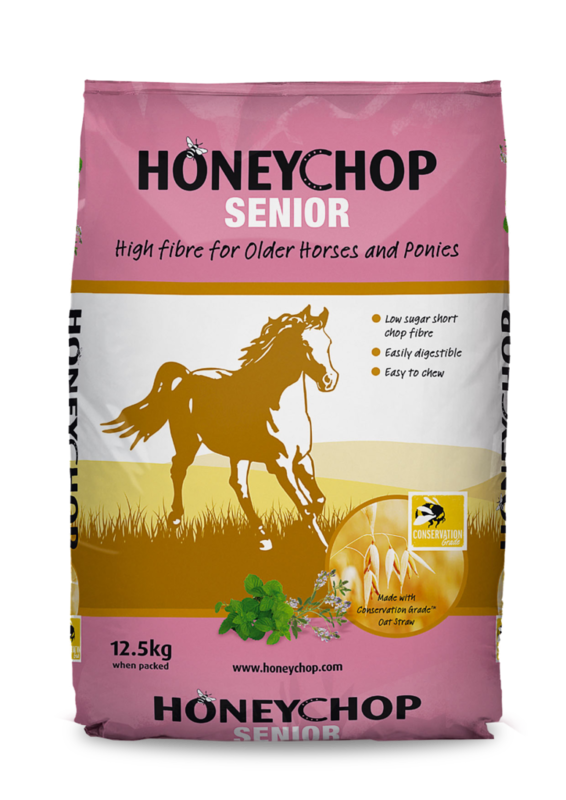 Alternatively, if you have any questions about us, our products, or want to send in your pictures and comments please do not hesitate to get in touch via our social media or our contact us page. Easter sunshine is good for the soul, box rest..not so much. 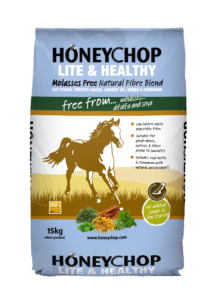 Sign up to receive our newsletter for all the latest Honeychop news! Sign up today!